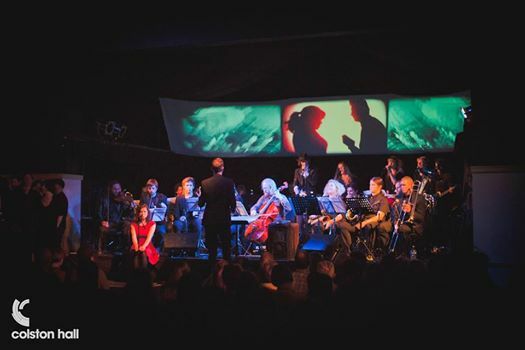 A live multimedia show featuring a rock band, 40 piece choir and orchestra, cinematic sequences and theatrical elements. 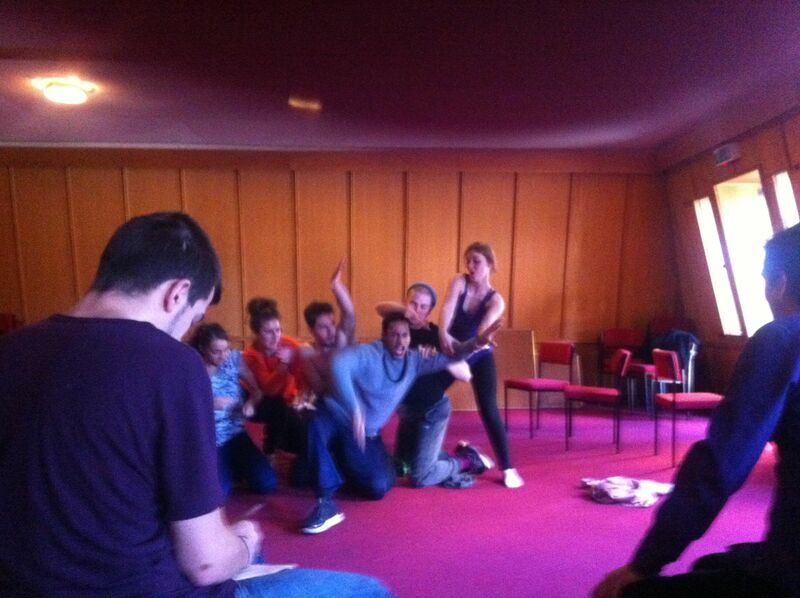 We have just completed two Russian Winter development days with the Bristol Old Vic theatre. They were brilliant and have really helped to move the show forwards to its next level. For our first day we worked with their Literary Associate, James Peries. We analysed our live show footage and talked about our wider ambitions for the narrative. On the second day, we added six actors from the final year of the Old Vic drama school into the mix to try out some of our ideas. It was theatrical input that we lacked when we staged the show last January but now we are now poised to create a genuinely integrated multimedia show. My dream coming to life – how great is that! We can officially say that we are collaborating with the Bristol Old Vic, with a view to putting our next version of the show on with them next autumn/winter. We just need to find some funds to help us on our way…I will write more about our development process soon. This is an ongoing project in which I have been working as a creative/executive producer alongside singer-songwriter John E Vistic and multi-instrumentalist-composer Adam Coombs to create a live multimedia show inspired by Mikhail Bulgakov’s classic novel The Master And Margarita. I began working on this with my MA and BA students in Filmmaking and Creative Media at UWE over two years ago and it has now evolved into a large scale project involving a whole host of my graduates and other industry professionals. As it currently stands, the show incorporates a rock band, 40 piece choir and orchestra, cinematic sequences and on stage acting. It was performed over three nights to a sell out audience in Colston Hall, Bristol in January 2013. There is much more that we would like to do with the show, however, and we are currently exploring our options for further development with the Bristol Old Vic. For more information on the project, go to our website or watch a short video interview about my inspirations for the live show.